I'm honestly gawking more at those left turn arrows. They look horrible, and are the wrong colors! For those who did not click through to watch the news report, this is a bridge of I-25 over Central Ave in Albuquerque. So it is not merely the problem of labeling I-40 as N/S instead of E/W, it is putting in the wrong highway symbol altogether. But, if you take this ramp on I-25 north, the next exit is for I-40. So an appropriate sign would say I-25 North (Santa Fe) to I-40. Street View managed to capture it. Was THIS the left turn Bugs Bunny should have took in Albuquerque? Seen this afternoon walking along M Street SW in DC en route to the Metro after the first game of a doubleheader. Someone needs a spell-checker. Took me a second as well. I sent that to my mother, who was an English teacher and who spots typos everywhere, and she didn't see it either. I think it's an example of the mind seeing what it knows the sign is supposed to say. You expect the typos in the longest words, that's why you look at those words first. I'm picturing the Star Trek character, but a quick Google search for a picture tells me that that name is spelled with an O, not an A. The guy in the picture is named Worf, which is pronounced the same as "Wharf". 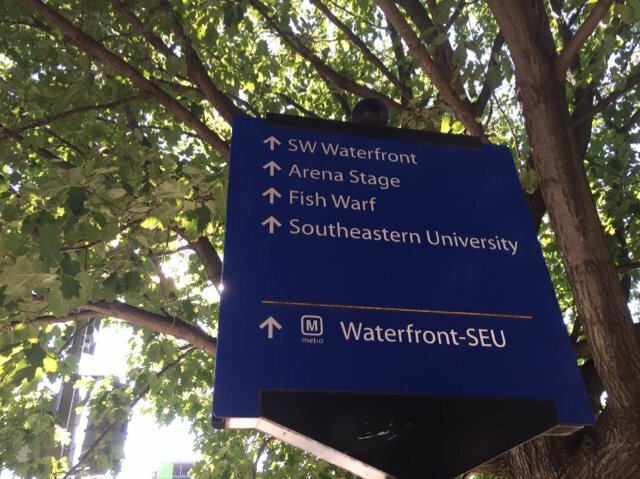 The DC DOT tweeted me this afternoon with a picture of the corrected sign. Typo fixed and apparently SEU must be defunct since it's been removed. According to Wikipedia (yeah I know unreliable source), SEU closed in 2009, and Waterfront got renamed in late 2011. Usually you'd see this message on a black-on-white square sign...taken in Greenville, OH on 2/18/17. For ground-mounted signs, yes. Overhead signs, for some reason, use yellow banners/plaques ("EXIT ONLY") to indicate these "ONLY" or "MUST" regulations. Couldn't possibly tell you why. 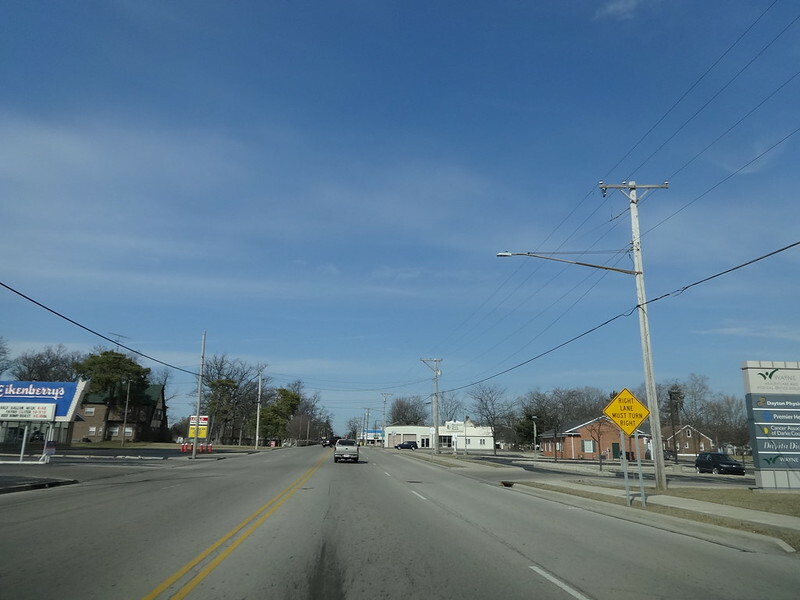 Does US 46 concur with NJ 183? Does US 46 go north too? I know its supposed to be implying that NJ 183 leads to US 46, but that is really not what the sign says. NJ has never been much of a fan of the "TO" plate on signs. Back to misspellings, I think I passed by this one for a year before noticing it. Didn't this happen on I-270 at Hamilton a while back? 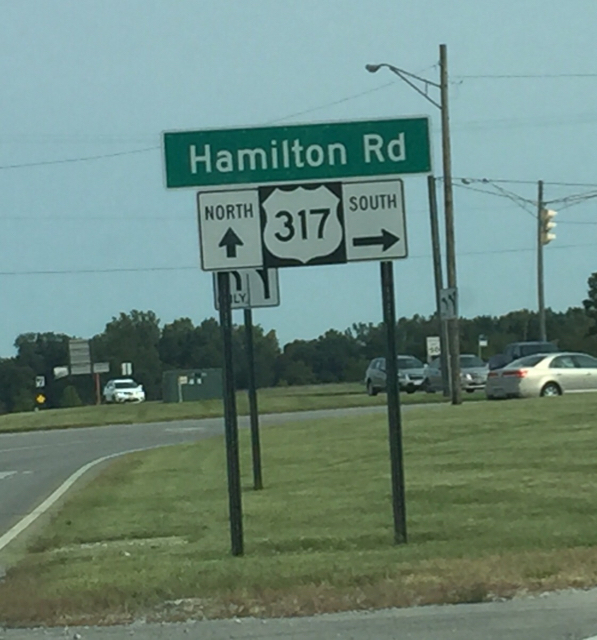 Should be SR 317.